Today we’d like to introduce you to Mallori Simko. Mallori, can you briefly walk us through your story – how you started and how you got to where you are today. Deeply connected to nature, I grew up eating from apple trees, drinking water from a spring and walking on the earth barefoot. Also very connected to my Grandmother she was one of my mentors in learning how to prepare the most flavor-rich homemade food. She was an Executive Chef for most of her life, and I learned a lot of great knowledge & wisdom from her. My mother taught me how to create sweets, mostly Cakes. She always kept my interest with being super creative. I am beyond grateful to have learned my way around the kitchen from two very inspiring, creative, Loving Women. I chose to eat plant-based 20 years ago, at age 11, when I felt guided in my sleep to “stop eating animals”. I listened to that inner voice, and it has truly been the greatest gift to hear my truth. I had been suffering from Rheumatoid Arthritis, Asthma, Allergies and Chronic Inflammation most of my childhood leading up to that destined moment of realization; the food I was eating, was not helping my body heal itself. With a profound interest in learning more about this new diet, my Mother and I transformed traditional recipes to vegan recipes, which had the same great flavors and taste, with less inflammatory and disease-causing effects. We did not know what veganism was, nor was anyone in the family vegan. However, we continued learning by researching online and using our intuition. My diet has changed over the past 20 years, so has my health, and my career path. 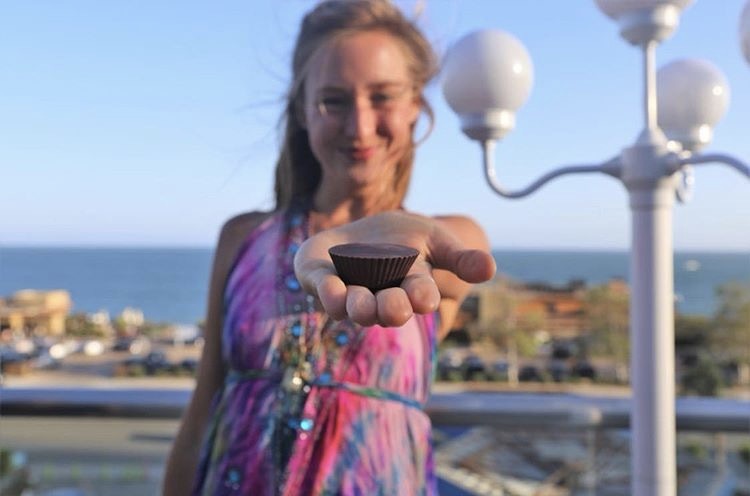 As a Broadway-trained Actress, I was ready for the big stage and NYC at 18, and by 22 years of age, I had changed my career path to serve organic & vegan cupcakes to the Stars of Hollywood! 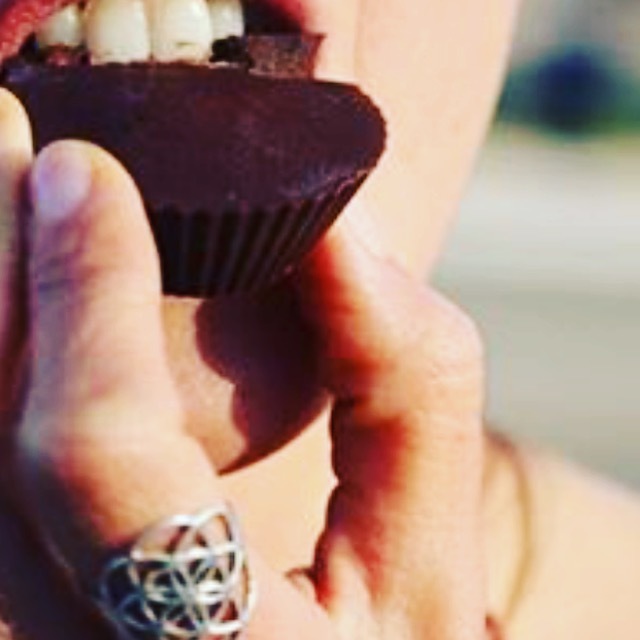 A few years into baking, I personally felt healthy, however, I became more aware of healing Raw Vegan Food and Superfoods. My body was thriving and I felt more alive when I ate Raw, living foods. I dissolved the Bakery business after an appearance on Food Network’s Cupcake Wars with my bakery, “JAM Vegan Bakery”. 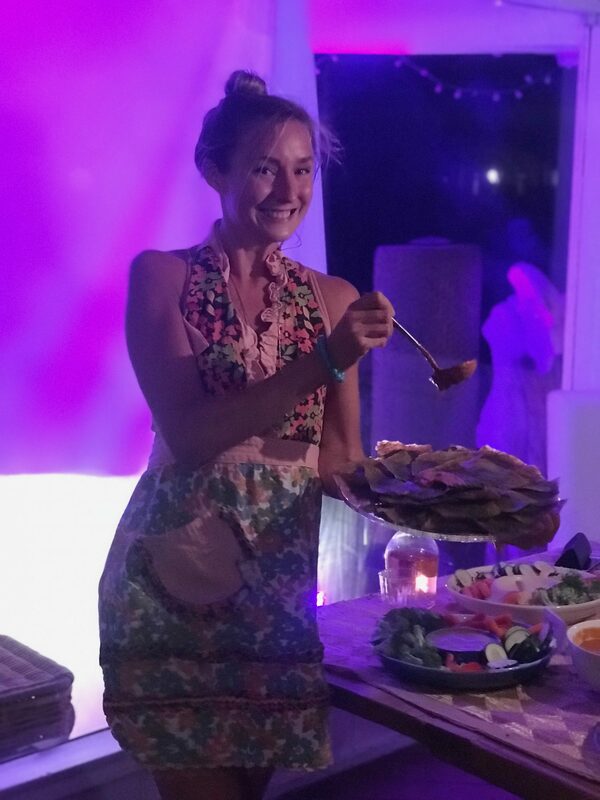 I followed my health and my path yet again and continued creating traditional Recipes without baking or cooking, and being guided to create another food business. This time, the business would be Gluten-Free, Vegan, Organic, & Raw. My health improved, I was healing, my Arthritis was not apparent and my inflammation was gone, I felt better and much happier. Yoga and mind-body connection is essential to healing, and good food fuels this healing work. 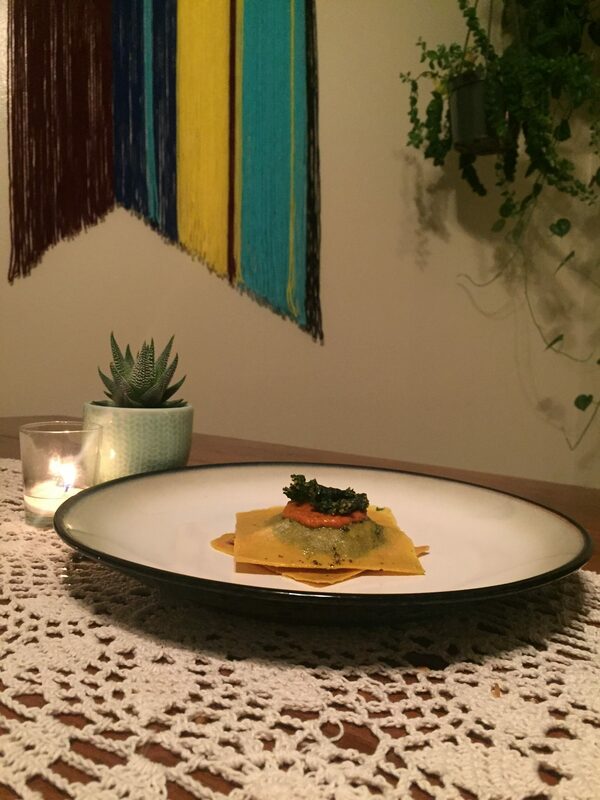 I was ready to share more culinary art which would really help people feel good & thrive! 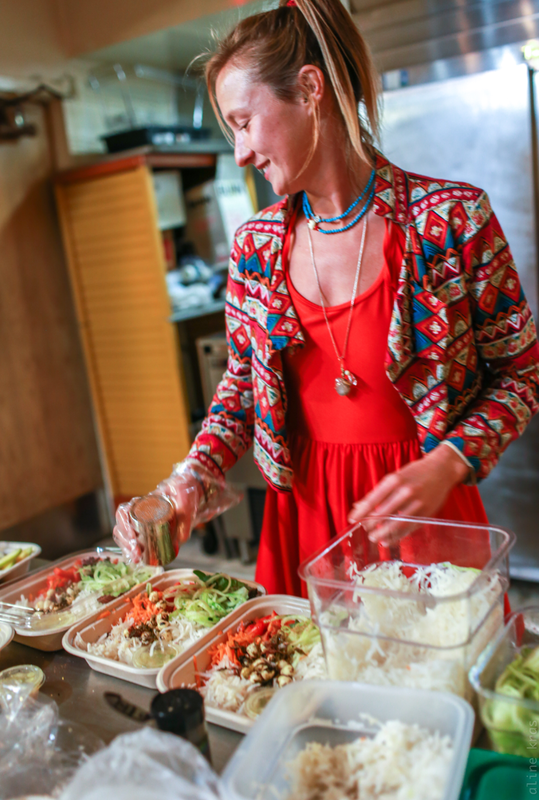 My approach to raw food creation comes from my roots, the traditional flavors and the love of home-cooked meals. 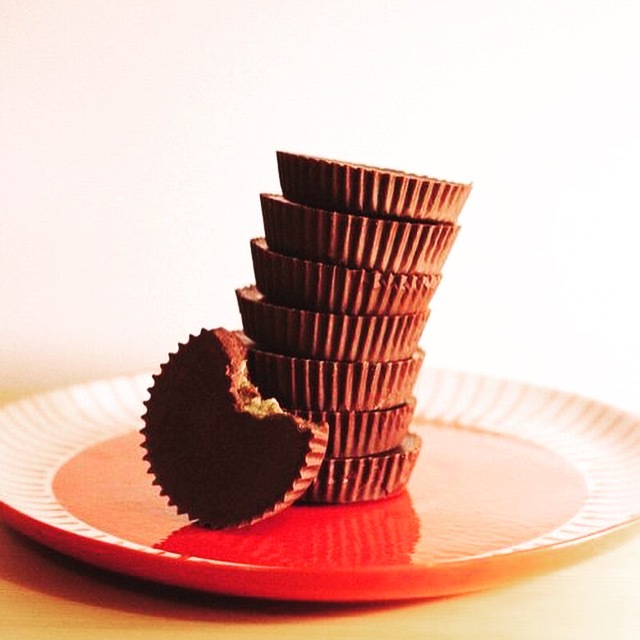 I created a wholesale product, “BETTER BUTTER CUPS”, dark decadent chocolate cups filled with sprouted seed butter. Which can be found at natural grocers in LA County! I also teach classes and I am catering events. Working on writing my first book, and video series as well! My goal is to be able to share this amazing food with as many people as possible for more happiness, love and nourishment! 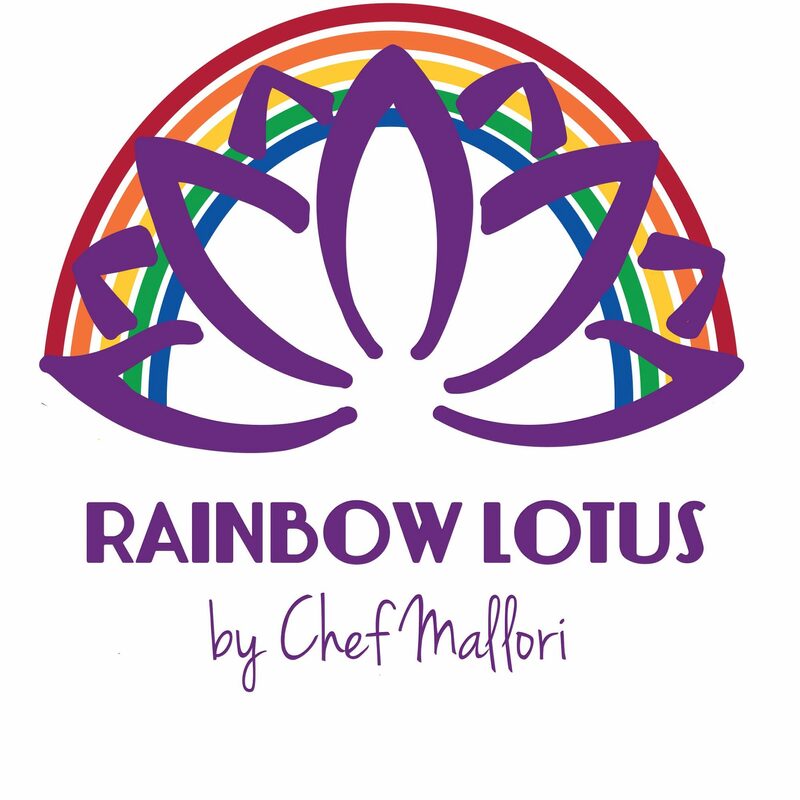 I am excited to see Rainbow Lotus by Chef Mallori products on store shelves everywhere, and a Restaurant Location on the Westside. Combining my love for Performing Arts, Music, Community and Great food, I am looking forward to the lounge. Prior to finding a healthy diet and lifestyle, I had a very hard time healing multiple ailments. It was the challenge, that assisted my drive to continue to create healthy food. I had a passion for my purpose to serve healing food. 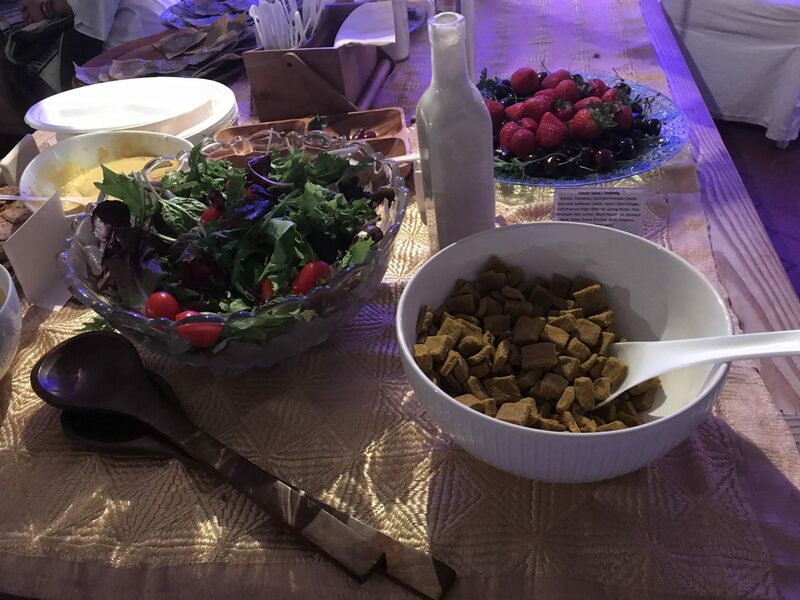 As the Owner, Chef and Creator of Rainbow Lotus by Chef Mallori, I am pleased to provide Raw, Vegan, Organic, Healthy Food for people seeking better food options, a unique cuisine, and foods designed to heal the body. I am grateful I offer raw, vegan, nut-free, gluten-free, soy-free, paleo-friendly foods, as it sets me apart from other raw vegan offerings. My food is intentionally made to be anti-inflammatory while maintaining the traditional flavors of great home cooked meals. Interested in everything, I grew up with so much positivity and a true sense of joy for life. I was able to connect my dreams to reality and had an extreme will to create anything I dreamt. I was mostly outdoors in nature, with very few neighbors, I was able to focus on my true identity and purpose. I was always the light in the room, a leader and a very motivated person. I loved music, animals, dance, poetry, singing, softball, basketball, building forts, creating events, providing service and camping. I especially enjoyed making food camping and on outdoor fires.